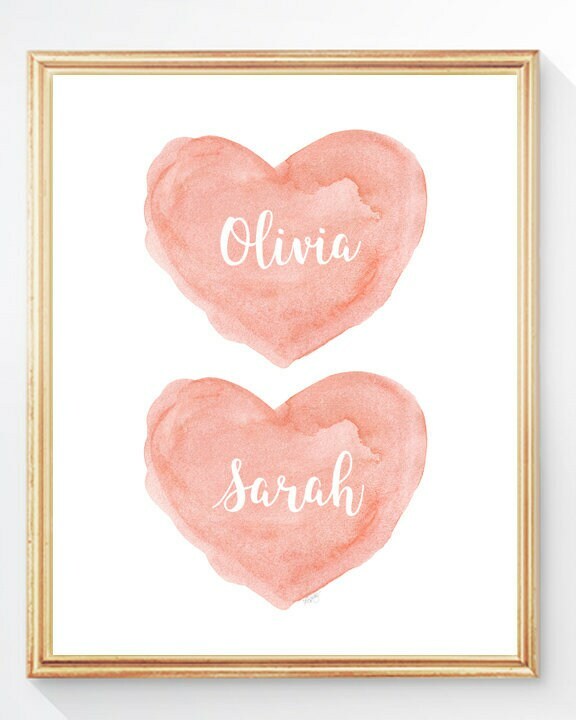 Twin hearts for twin girls! 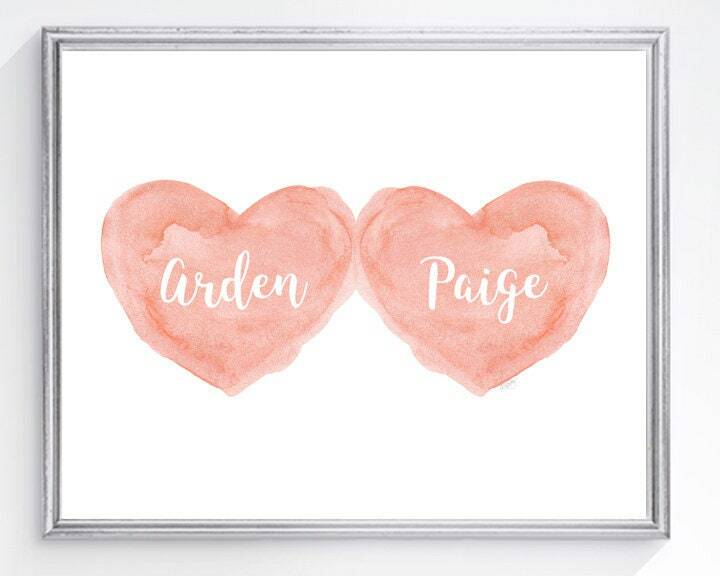 Coral watercolor hearts can be personalize with both your twins names. Lovely for a shower gift, christening gift or simply welcoming beautiful new babies into the world. 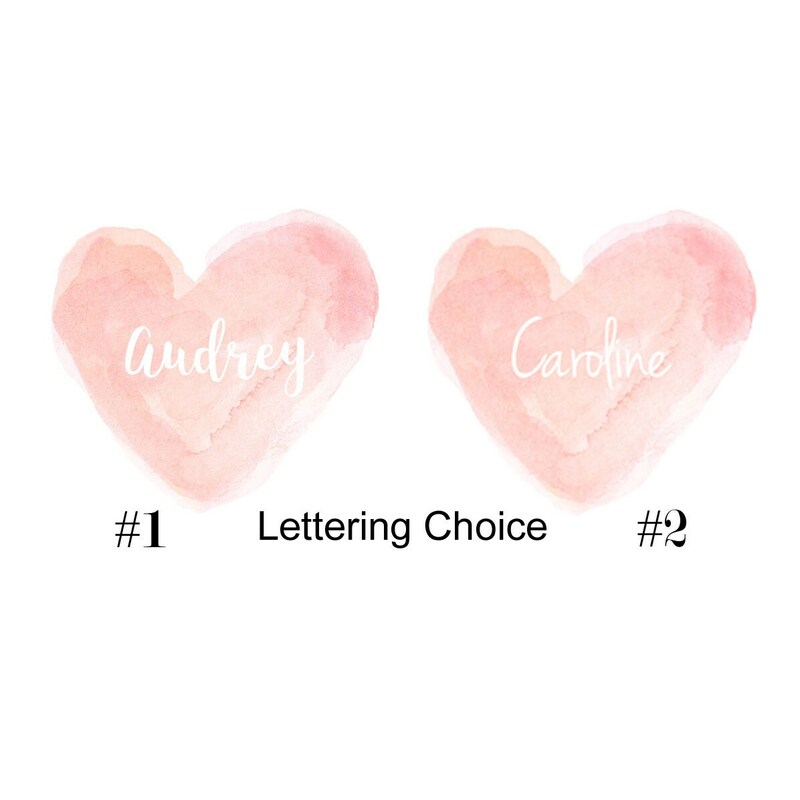 Please include the names in notes to seller at checkout- please note right/top name- left/bottom name. Love It! 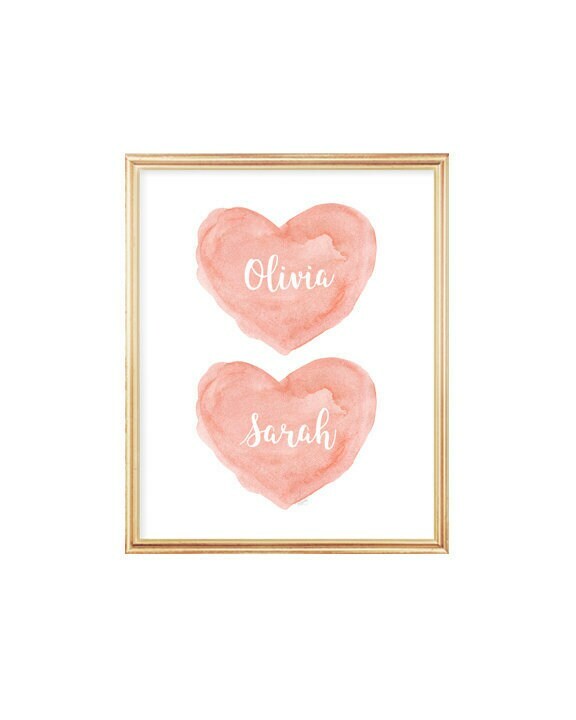 Frankie and Stella will love it, too!